Can this modular computer be the first breakout hit? Some people love tinkering with the guts of their PC. Others aren’t so sure. But what happens when someone who’s screwdriver adverse wants to add on their PC? As it happens, yes, there’s the USB bus and a whole wealth of peripherals to attach them to. 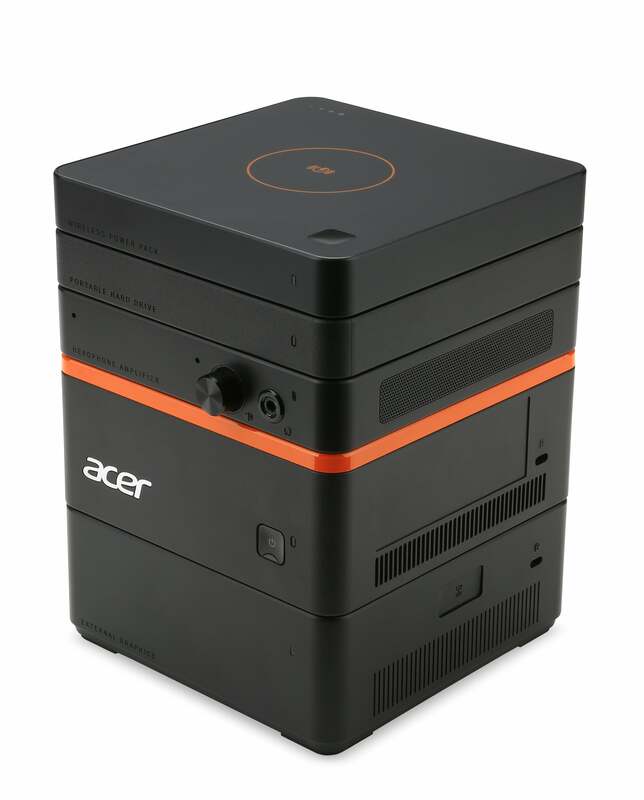 But Acer has another idea: to take a computer, which it calls the Revo Build, and stack its components on top of one another, using pinned connections to provide an interface. The Acer Revo Build, with a block stacked atop the main computing unit. For now, Acer’s not sure if it the Revo Build will make it to the United States. But the Build will be sold in Europe for 199 euro beginning in October, and in China for 1,999 yen, Acer said. The Revo Build M1-601, as it’s known, is packaged in a 1-liter chasis with a 125 x 125 mm base—looking essentially like a NUC with a connector on the top. Inside is either a Pentium or a Celeron, presumably the new Skylake models. Each of the “blocks” stacks one on top of the other, using pins that are magnetically aligned to make connections easy. It’s not quite clear how fast these connections actually are, however, and whether the PC must be powered down to add the new blocks. 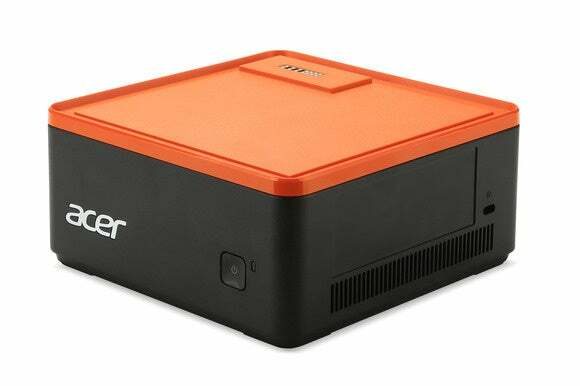 Acer said that the blocks will include a 500GB/1TB hot-swappable hard drive that will be available at launch, while a “wireless power bank” for wireless charging and an “audio block” with integrated speakers and a mic would be gradually rolled out over time. Acer didn’t disclose the price of these blocks, however. You may need to take out your screwdriver to make one upgrade, though: to add more than the 8 GB of installed memory, you’ll apparently need to remove a panel that’s attached by a screw. Why this matters: Modular computers have been tried before, with middling success; Google’s Project Ara, a modular smartphone, still hasn't made it to market. The intriguing Hive from Amplicity made a splash at CES, but hasn’t been heard from, since. That’s not to say that modular computers can’t be a success; far from it. But we’re still waiting for the first breakout hit.